I’ve been planning today’s post for awhile now and I’m super excited to finally be sharing it. How many of you struggle with the basic braids? From the comments I get on YouTube it’s quite a few of you. And what good are any of the hairstyles I post if you don’t understand the braids?! This is my fault. 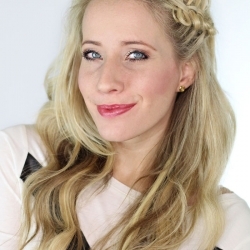 Today’s video is going to explain the four basic braids that will help you achieve ANY hairstyle. We’re going to move slow and I want you to pull your hair down and just follow along!! The video is at the end of this post, but feel free to read more about the four braids we’ll be going over today. 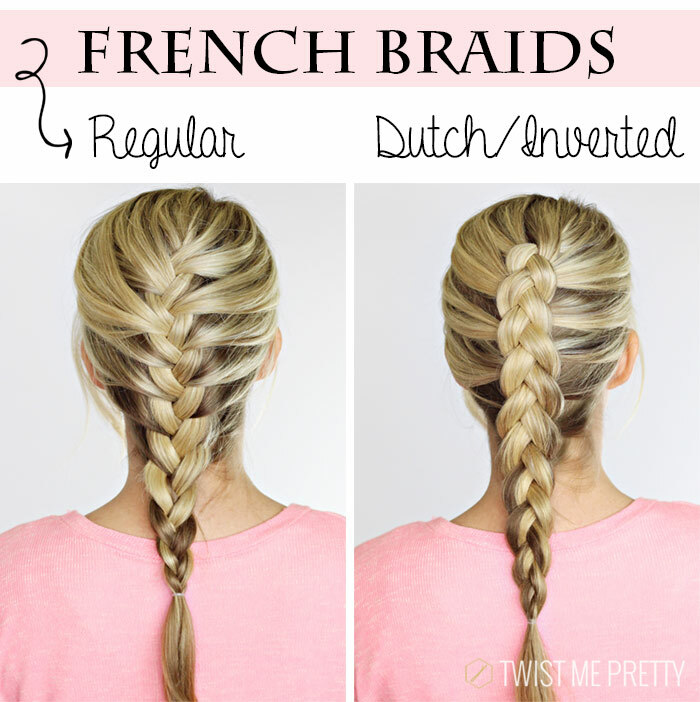 These are your two basic french braids. 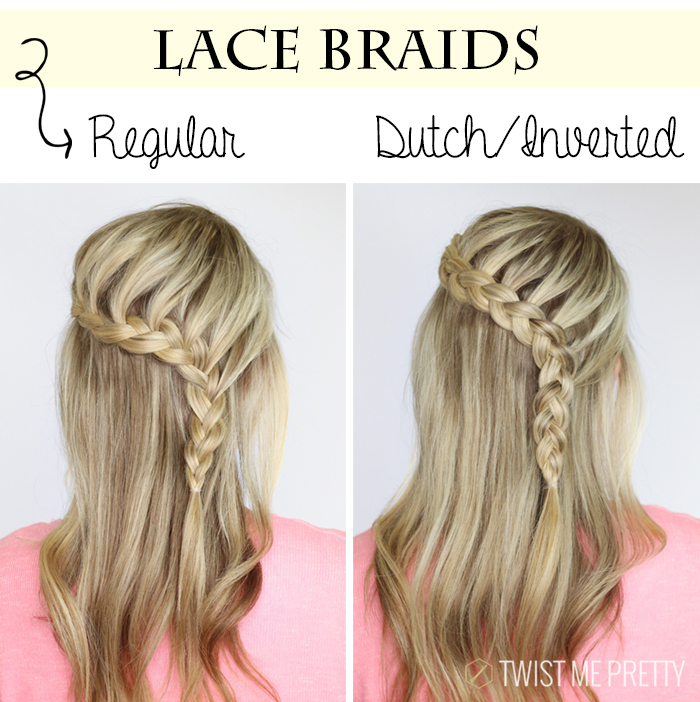 Before learning any styles, I’d make sure you have these two braids completely memorized. Practice while watching TV– that’s what I did when I first started this blog less than three years ago. When your fingers just move on your own, that’s when you know you’re ready to move onto some harder styles! 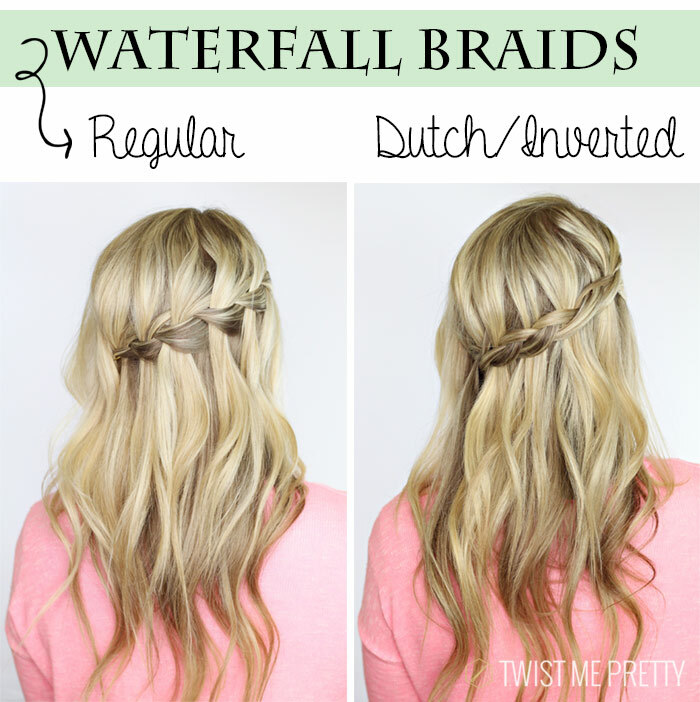 The waterfall braid is so gorgeous! 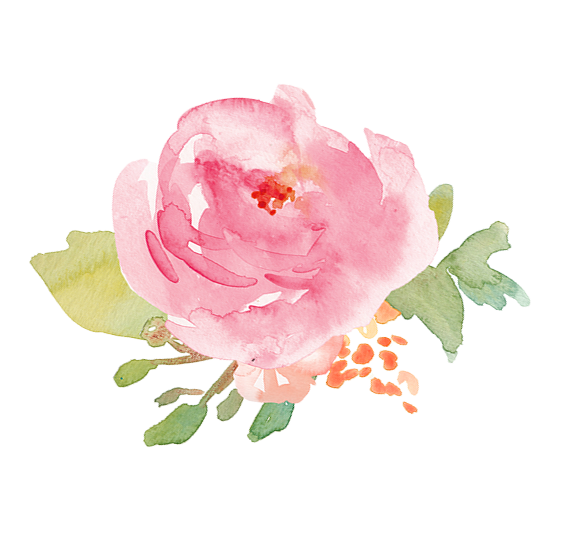 It so elegant and soft and can be dressed up or down. While I haven’t done too many variations with this braid, I feel like this one can stand on it’s own. Make sure to checkout the video to see the tutorial! 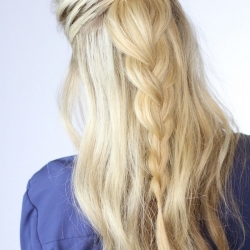 A lace braid is when you only add new sections of hair into one of the sides. 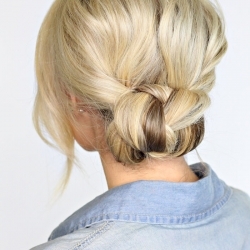 It’s a really simple braid but it allows you to do a ton of fun things to your hair. 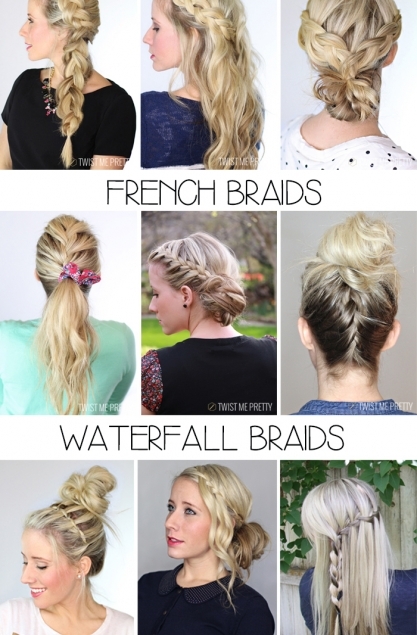 It’s more flexible and giving than a regular french braid, so it’s an important braid to learn. Here’s the tutorial– I really hope this clears up any questions you have!! 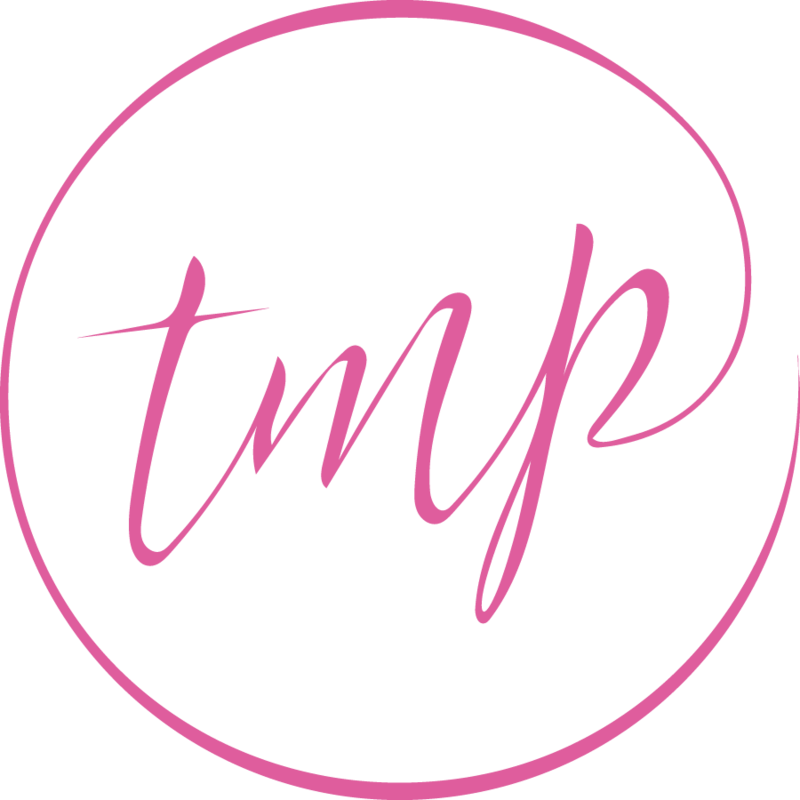 My goal is to help you feel more confident with your hair. These aren’t just a bunch of pretty pictures I like to look at haha!! They’re here to help you learn something new and to get creative with your own hair. If you love my YouTube Channel, make sure to subscribe!